A cluster of chalets in the French Chamonix Valley with beautiful views of the Alps and Mont-Blanc. 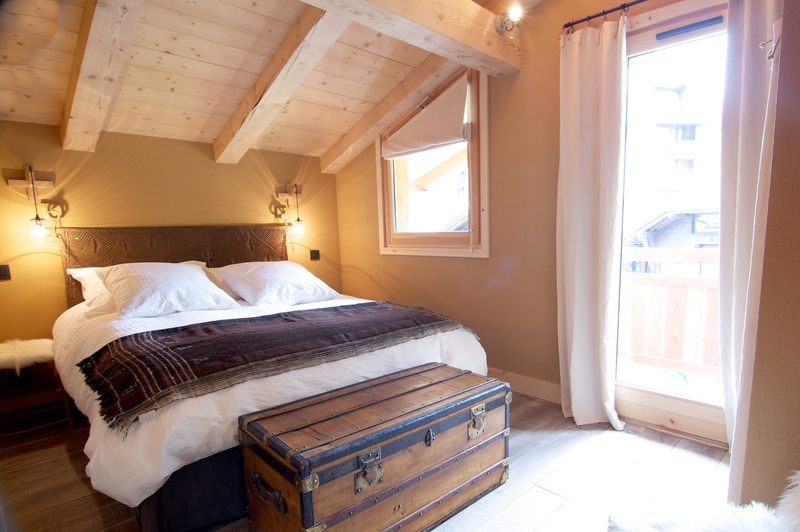 Set in the picturesque French village of Argentière, the chalets can be found where the mountains mark out the borders between Switzerland, Italy and France. The beauty of the white-capped peaks added magic and mystery to our arrival at the chalets that were tucked under a blanket of snow. Staff are keen to point out that the region is just as popular in the summer – when the slopes are as much coveted by hikers, runners and mountaineers – as it is in the winter and spring. Four chalets are available to rent, each with five to seven rooms, containing 20 double and twin rooms in total, and a capacity of 40 guests. The venue also has a spa fitness and massage room, a personal chef with cuisine made from local and fresh products, and can arrange helicopter trips, skiing, massage, yoga, as well as day trips to Chamonix and around. Les Rives d’Argentière facilities include six meeting rooms up to 52sqm and a total of 235sqm. The Quartz Plenary is the largest meeting room, bathed in natural light, it opens to a large terrace with a stunning view of Mont-Blanc. Many configurations are possible for events in this 51m2 room that can accommodate 30 people boardroom style, 50 theatre or banquet style and 100 for a cocktail party. A dedicated event manager can arrange 24-hour airport transfers, with several minibus drivers and vehicles available. Menu suggestions include options like grilled scallops, asparagus, lemon sauce spiced salmon fillet, herby red quinoa, pomegranate with seasonal vegetables with cheesecake and a red fruits coulis to finish. For breakfast expect continental or traditional English and a choice of pastries, biscuits, homemade cake or pie served during breaks. 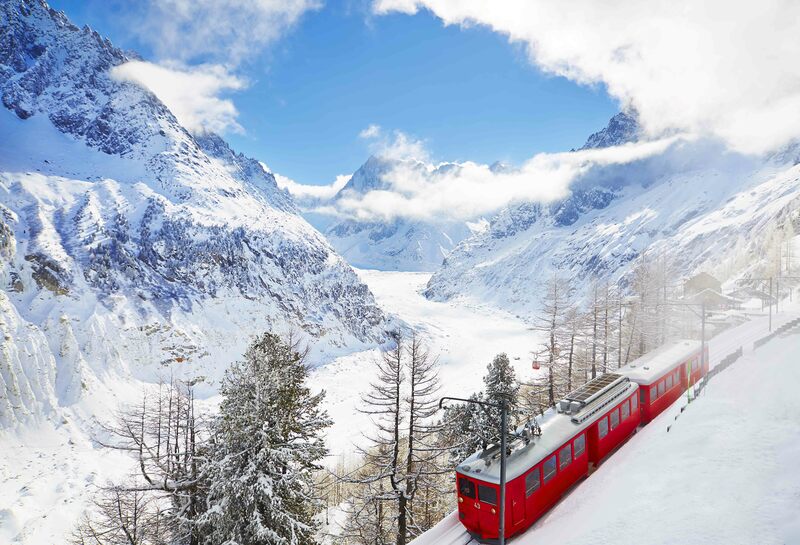 The Chamonix valley is 80-minute flight from London and an hour transfer from Geneva Airport. On our trip, a transfer by the venue’s minibuses meant we were meandering on winding roads on an ascent to the Chamonix valley and the foothills to the Alps within two hours of taking off from London. And if there’s ever a time the warming luxury of a sauna, steam rooms, massage and outdoor hot tubs seems to make sense, it’s when you’re at the end of a journey and coming in from the cold. On our trip, massage and wellbeing services were provided by Equilibrium Fitness. 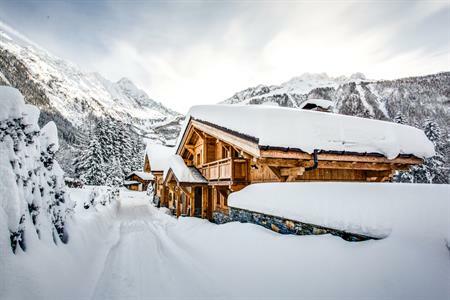 Add to that a roaring log fire in every chalet, fine food on an eight-course menu – with wines to match –and it’s clear this is a venue that’s very much done its homework on comfort and relaxation. For more features and breaking news sign up to C&IT's daily News Tracker.